Actor Fredric March being questioned by House of Un-American Activities HUAC Chairmen Martin Dies, Jr.
On this day in history June 8, 1949, the FBI released a report naming a number of prominent Hollywood actors as members of the Communist Party. The report came two years after a group of screenwriters dubbed the Hollywood Ten were blacklisted. This new report accused Frederic March, John Garfield, Paul Muni, Edward G. Robinson, Paul Robeson, Danny Kaye and other actors, screenwriters, and directors. The Hollywood example brought prominence to the FBI and J. Edgar Hoover’s anti-Communism crusade. The post-World War II era, with the start of the Cold War, made the Soviet Union the conservatives’ enemy number one, commencing the “Second Red Scare.” The assault on the motion picture industry was not only filled with concern over Communism in the United States but also filled with anti-Semitism towards an industry with a major Jewish population. The cry that Communism infiltrated Hollywood was not new; it started over 10 years earlier in 1938 when the then-chairman of the House Un-American Activities Committee (HUAC) Martin Dies, Jr. released his report stating there was communism in Hollywood. Two years later, a former Communist Party member, John L. Leech testified that 42 members of the industry were Communists; he repeated this in a grand jury testimony. Among those accused were major actors of the time, including “Humphrey Bogart, James Cagney, Katharine Hepburn, Melvyn Douglas and Fredric March.” Dies promised to clear them if they meet him in an executive session with him; it took two weeks to clear all the actors except Lionel Stander. The 1946 Midterm Elections brought the FBI and HUAC’s flimsy investigation and accusations to full speed. The election brought Conservative Republicans control of both Houses in Congress. The blacklist began in the summer of 1946 when the publisher and founder of The Hollywood Reporter William R. Wilkerson wrote a series of column accusing a number in the industry of being either Communists or sympathizers, which became known as Billy’s Blacklist. To contrast to the HUAC’s red-baiting, a number of Hollywood heavyweights created the Committee for the First Amendment to protest the hearings. Over 200 members of the industry signed the “Hollywood Fights Back” ad in Variety against the HUAC hearings. Some of the biggest actors of the time, “Humphrey Bogart, Henry Fonda, Judy Garland, Katharine Hepburn, Gene Kelly, Groucho Marx, Gregory Peck, Frank Sinatra, Orson Welles, William Wyler, and Billy Wilder” signed the ad. Two of the later accused, March and Robinson also signed the ad, which read, “Any investigation into the political beliefs of the individual is contrary to the basic principles of our democracy; any attempt to curb freedom of expression and to set arbitrary standards of Americanism is in itself disloyal to both the spirit and the letter of our Constitution.” Ultimately, it led to more suspicions because of member Sterling Hayden’s involvement with the Communist Party. HUAC developed a list of 43 screenwriters, and lesser extent actors, directors, producers, who they suspected of being Communists. In October 1947, of the 43 only 10, in the end, refused to testify and answer if they had belonged to the Communist Party, they cited the First Amendment of the U.S. Constitution as the basis of their refusal. The Hollywood Ten were held in contempt of Congress and sentenced each to a year in prison. The official blacklist began. Then in 1949, came the FBI report mostly based on “confidential informants,” as sources. The informant was probably Judith Coplon, who was on trial for espionage and possessed a list of actors supposedly involved in the Communist Party. The report argued the Communist Party “have been successful in using well-known Hollywood personalities to further Communist Party aims.” The report emphasized actor Fredric March, for the second time he was accused of being a Communist. March was a two-time Academy Award winner, who just won a Best Actor award in 1946 for the “Best Years of Our Lives,” and was nominated numerous times including for the original “A Star is Born” in 1937. March advocated aid to the Soviet Union after the war, which heightened suspicion. The FBI report was only a start, the HUAC investigation continued into the 1950s, with more friendly witnesses and former accused outing Communists in the industry with the second round of HUAC hearings in 1951–52; as those in the industry turned on each other in attempts to salvage their careers and avoid the blacklist. There would be additional investigations by non-governmental organizations, most prominently the American Legion. Studios began demanding loyalty oaths; actors would publicly denounce any involvement with the Communist Party as Humphrey Bogart did. The hysteria was at a fever pitch in the mid-1950s with hundreds blacklisted predominantly screenwriters. Only by the latter part of the decade close to 1960 would the blacklist start to be lifted and slowly those on the list returned to be credited for their work, but it took years for the scars to heal in an industry torn apart over a fact that was never proven. Bonnie K. Goodman BA, MLIS (McGill University), is a journalist, librarian, historian & editor. She is a former Features Editor at the History News Network & reporter at Examiner.com where she covered politics, universities, religion, and news. She has a over dozen years experience in education & political journalism. THE PRESIDENT: Thank you. Thank you. Thank you, Mike. (Applause.) That’s the group. Thank you. Thank you very much. This really is the group. What a great group of people. and they’re not even doing it for the party, they’re doing it for this country — because we suffered with Obamacare. 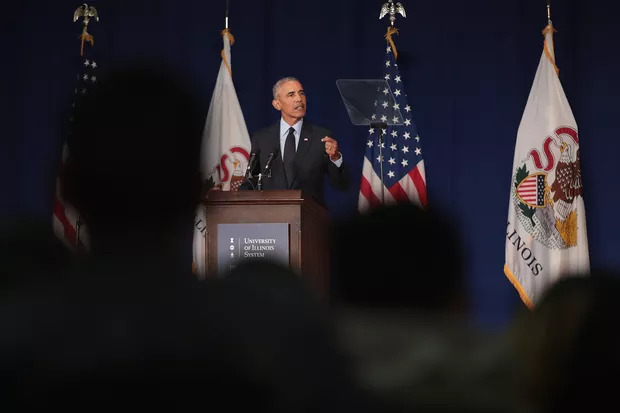 I went through two years of campaigning, and I’m telling you, no matter where I went, people were suffering so badly with the ravages of Obamacare. And I think, most importantly, yes, premiums will be coming down. Yes, deductibles will be coming down. But very importantly, it’s a great plan. And ultimately, that’s what it’s all about. We knew that wasn’t going to work. I predicted it a long time ago. I said, it’s failing. And now, it’s obvious that it’s failing. It’s dead. It’s essentially dead. If we don’t pay lots of ransom money over to the insurance companies it would die immediately. So what we have is something very, very incredibly well-crafted. Tell you what, there is a lot of talent standing behind me. An unbelievable amount of talent, that I can tell you. I mean it. (Applause.) And coming from a different world and only being a politician for a short period of time — how am I doing? Am I doing okay? I’m President. Hey, I’m President. Can you believe it? Right? (Applause.) I don’t know, it’s — I thought you needed a little bit more time. They always told me, more time. But we didn’t. But we have an amazing group of people standing behind me. They worked so hard and they worked so long. And when I said, let’s do this, let’s go out, just short little shots for each one of us and let’s say how good this plan is — we don’t have to talk about this unbelievable victory — wasn’t it unbelievable? So we don’t have to say it again. But it’s going to be an unbelievable victory, actually, when we get it through the Senate. And there’s so much spirit there. But I said, let’s go out — we have a little list of some of the people — and I think after that list goes, if they don’t talk too long, our first list, we’re going to let some of the other folks just come up and say whatever you want. But we want to brag about the plan, because this plan really — uh oh. (Laughter.) Well, we may. (Laughter.) But we’re just going to talk a little bit about the plan, how good it is, some of the great features. I want to thank Paul Ryan. (Applause.) He has worked so hard. I was joking, I said, you know, Paul, for the last week I’ve been hearing “Paul Ryan doesn’t have it. It’s not working with Paul Ryan. He’s going to get rid of Paul Ryan.” And then today I heard, “Paul Ryan is a genius, he’s come a long way.” (Laughter.) Right? SPEAKER RYAN: I’ll take whatever. THE PRESIDENT: The groups have all come together. We have the Tuesday Group — we have so many groups. We have the Freedom Caucus. We have — and they’re all great people. But we have a lot of groups. But they all came together. Really, Paul, I’d say in the last three, four days — especially in the last day. I see Mark and I see Kevin, I see so many people — Jim. We just have developed a bond. This has really brought the Republican Party together, as much as we’ve come up with a really incredible healthcare plan. This has brought the Republican Party together. We’re going to get this finished, and then we’re going — as you know we put our tax plan in, it’s a massive tax cut, the biggest tax cut in the history of our country. I used to say the biggest since Ronald Reagan. Now, it’s bigger than that. Also, pure tax reform. So we’re going to get that done next. And this really helps it. A lot of people said, how come you kept pushing healthcare, knowing how tough it is? Don’t forget, Obamacare took 17 months. Hillary Clinton tried so hard — really valiantly, in all fairness, to get healthcare through. Didn’t happen. We’ve really been doing this for eight weeks, if you think about it. And this is a real plan. This is a great plan. And we had no support from the other party. So I just want to introduce somebody to say a few words who really has been I think treated very unfairly, but it no longer matters because we won and we’re going to finish it off. And we’re going to go on with a lot of other things, and we are going to have a tremendous four years and maybe, even more importantly, we’re going to have a tremendous eight years. But we’re going to start off with just a great first year. Current House Minority Leader Nancy Pelosi, (D -CA) staved off challenger Rep. Tim Ryan (D-OH), to remain the House Democratic Minority Leader for the 115th Congress. On Wednesday, Nov. 30, 2016, House Democrats voted 134-63 in a closed-door meeting to keep Pelosi in as minority leader. The Nov. 15 elections were delayed at the closed-door meeting by request after the Nov. 8, election. Soon after Ryan, 43 announced his plans to challenge Pelosi, 76, but was unable to garner enough support to unseat her. The Democratic caucus requested a delay in the elections of the Democratic House leadership posts at their Nov. 15 meeting. They were dissatisfied with Pelosi’s leadership and the direction of the party after their losses in the election. House Democrats picked up just six seats, lost the presidency and only picked up two Senate seats. Democrats wanted Pelosi to make changes in the leadership; she promises to every new session but never follows through. Democrats also needed time to reflect on the election and the message the American public sent the party. Ryan announced his intention to challenge Pelosi on Nov. 17. Ryan argued the need for change after the Democrats crushing election defeat. He said the party needed a younger leadership and vision that would focus on the Democrats “economic message” and “geographic outreach.” Ryan told ABC News, “Donald Trump is the president, that is how bad we are out of touch, that the backbone of our party went and voted for Donald Trump, and I say that’s out fault. Clearly we have got to do something much different. We have to connect to these working-class voters and we have a broad coalition.” Ryan has been in the House representing first Ohio’s 13th district since he was elected in 2003. The Ohio representative announced his candidacy with a letter to the Democratic caucus. Ryan wrote, “I have spent countless hours meeting and talking to Members of our Caucus, and the consensus is clear. What we are doing right now is not working. While having a position in Democratic Leadership has never been my life’s ambition, after this election I believe we all need to re-evaluate our roles within the Caucus, the Democratic Party, and our country. That is why I am announcing my run for Minority Leader of the Democratic Caucus and humbly request your support.” Only 11 House members publicly declared their support for Ryan. House Republicans have opted to re-elected Speaker of the House Paul Ryan, (R- WI) to a second term. On Tuesday afternoon, Nov. 15, 2016, in a closed-door session Republicans unanimously voted that Ryan should stay on as House Speaker in the 115th session. Ryan’s re-election with support from all Republicans is surprising, but after a week of shocks, that has become the new norm for Republicans. Ryan’s speakership was in danger before President-elect Donald Trump’s shocking upset victory a week ago on Tuesday, Nov. 8. His lack of support and distancing himself from Trump after a 2005 lewd tape emerged threatened Trump’s chances of winning the presidency. The conservative Freedom Caucus and some Southerner Republicans wanted Ryan replaced. After the FBI reopened their investigation into Democratic nominee Hillary Clinton and Trump rose in the polls that changed, Ryan had a change of heart, he campaigned and told Americans particularly Republicans to vote for Trump. Since Trump’s election, Ryan has been President-elect Trump’s greatest endorser on Capitol Hill. Ryan sees himself guiding policy for the administration and Republican-controlled Congress. Ryan and Trump met on Thursday, Nov. 10 and had been talking on the phone each day. Ryan told the conference that Vice President-elect Mike Pence told him Trump supports the entire House Republican leadership’s re-election. In the spirit of their new president, GOP Conference Chairwoman Cathy McMorris Rodgers (R-WA) gave Trump campaign hats red Make America great Again hats to each member. On Tuesday, the Republicans also elected Ohio Rep. Steve Stivers to helm the National Republican Congressional Committee. Stivers was in the running with Rep. Roger Williams of Texas for the post. Now Ryan has to face a full vote in the House when they convene their new session in January, but with full support from the Republican majority, Ryan is certain to coast to a second term as Speaker of the House. Despite the chatter that Rep. Paul Ryan would not be reelected as Speaker of the House of Representatives, he is still planning to run for a second full term. Ryan appeared on Friday, Nov. 4, 2016, on local Green Bay, Wisconsin radio show WTAQ’s “The Jerry Bader Show,” and he pushed back against claims by House Republicans that he could not win and should not run. The speaker has the support of his deputies for another term in the top spot in the House. Majority Leader Kevin McCarthy (R-Calif.) and Majority Whip Steve Scalise (R-La.) have all spoken out supporting Ryan. According to House Republicans all the deputy leaders would be flawed candidates and would never win the votes to become speaker. On Thursday, the Hill published a feature report entitled “Chatter grows that Ryan could step down” based on the comments of four House Republicans, one which is a “senior lawmaker.” The representatives expressed that there is animosity within the party against Ryan and he could not win the 218 voted needed to remain speaker. The Conservative Freedom Caucus is against him, as are some mainstream Republicans in the south and districts with constituents who strongly support Trump. Add the possibility of losing10 to 20 seats and Ryan’s odds would go down lower according to the sources. Additionally, 10 Republicans did not vote for Ryan the first time around. All these factors could spell defeat. The Republican sources claim that Ryan’s future as Speaker is tied to the election results. If Trump wins, Ryan would have an easier time winning reelection, if Clinton wins or Trump loses by a small margin Ryan will face the blame that he could help the nominee and bring the White House into Republican hands. Supporting the nominee also helps the down ballots as well making sure Congress remains in Republican control. Republican constituents are upset with the Speaker for abandoning Trump after the 2005 lewd tape emerged believing Ryan’s support and campaigning would have helped the GOP nominee. The nominee and the speaker have had a contentious relationship through the primaries and even after Trump became the presumptive nominee, Ryan was always reluctant to support him and took long to endorse him. Earlier this week Ryan announced that he voted for the party’s nominee, although he did not mention Trump by name. In the last days of the campaign, Ryan plans to campaign with Trump’s running mate Indiana Governor Mike Pence on Saturday in Wisconsin where they will both be campaigning with Republican Sen. Ron Johnson, is facing a tough reelection battle. A week after the election House Republicans intend to vote for speaker on Nov. 15. Then Ryan will face the entire new 115th Congress, which makes their formal vote on the first day of the new session on Jan. 3, 2017. The FBI handed over its report on their decision not to recommend criminal charges for former Secretary of State Hillary Clinton over her private email server to Congress. The FBI sent the classified report originally for the Department of Justice and interview memos, called 302s to the House Oversight Committee on Tuesday, Aug. 16, 2016, following through on their request. The House is also is also request the DOJ file charges because Clinton perjured herself in her sworn testimony to the House’s Benghazi committee. Congressional Republican are looking to make sure Clinton pays as CNN pointed out a “political price” for her actions during her tenure at the State Department since the FBI did not recommend criminal charges. Reps. Jason Chaffetz, R-Utah, and Bob Goodlatte, R-Virginia sent a letter to the Department of Justice asking the DOJ to charge Clinton with perjury claiming she perjured herself during her testimony to the House’s Benghazi committee. Thank you, Madam Leader. Before I begin, I want to thank the family and friends who flew in from Wisconsin and from all over to be here today. In the gallery, I have my mom, Betty; my sister, Janet; my brothers, Stan and Tobin; and more relatives than I can count. Most important of all, I want to recognize my wife, Janna, and our three kids: Liza, Charlie, and Sam. Now I know how he felt. It’s not till you hold this gavel and stand in this spot and look out and see all 435 members of the House—as if all of America was sitting right in front of you. It’s not till then that you feel it: the weight of responsibility, the gravity of the moment. We all should feel that way. A lot is on our shoulders. So if you ever pray, pray for each other— Republicans for Democrats, Democrats for Republicans. And I don’t mean pray for a conversion. Pray for a deeper understanding, because—when you’re up here, you see it so clearly—wherever you come from, whatever you believe, we are all in the same boat. I never thought I’d be the speaker. But early in my life, I wanted to serve in the House. I thought the place was exhilarating—because here, you could make a difference. If you had a good idea and worked hard, you could make it happen. You could improve people’s lives. To me, the House represented the best of America: the boundless opportunity to do good. But let’s be frank: The House is broken. We are not solving problems. We are adding to them. And I am not interested in laying blame. We are not settling scores. We are wiping the slate clean. Neither the members nor the people are satisfied with how things are going. We need to make some changes, starting with how the House does business. We need to let every member contribute—not once they have earned their stripes, but right now. I come at this job as a two-time committee chair. The committees should retake the lead in drafting all major legislation. If you know the issue, you should write the bill. Open up the process. Let people participate. And they might change their tune. A neglected minority will gum up the works. A respected minority will work in good faith. Instead of trying to stop the majority, they might try to become the majority. In other words, we need to return to regular order. Now, I know that sounds like process. But it’s actually a matter of principle. We are the body closest to the people. Every two years, we face the voters—and sometimes face the music. But we do not echo the people. We represent them. We are supposed to study up and do the homework that they cannot do. So when we do not follow regular order—when we rush to pass bills a lot of us do not understand—we are not doing our job. Only a fully functioning House can truly represent the people. And if there were ever a time for us to step up, this would be that time. America does not feel strong anymore because the working people of America do not feel strong anymore. I’m talking about the people who mind the store and grow the food and walk the beat and pay the taxes and raise the family. They do not sit in this House. They do not have fancy titles. But they are the people who make this country work, and this House should work for them. Here’s the problem. They’re working hard. They’re paying a lot. They are trying to do right by their families. And they are going nowhere fast. They never get a raise. They never get a break. But the bills keep piling up—and the taxes and the debt. They are working harder than ever to get ahead. Yet they are falling further behind. And they feel robbed—cheated of their birthright. They are not asking for any favors. They just want a fair chance. And they are losing faith that they will ever get it. Then they look at Washington, and all they see is chaos. What a relief to them it would be if we finally got our act together—what a weight off their shoulders. How reassuring it would be if we actually fixed the tax code, put patients in charge of their health care, grew our economy, strengthened our military, lifted people out of poverty, and paid down the debt. At this point, nothing could be more inspiring than a job well done. Nothing could stir the heart more than real, concrete results. The cynics will scoff and say it’s not possible. But you better believe we are going to try. We will not duck the tough issues. We will take them head on. We are going to do all we can so working people get their strength back and people not working get their lives back. No more favors for the few. Opportunity for all—that is our motto. I often talk about the need for a vision. I’m not sure I ever said what I meant. We solve problems here—yes. We create a lot of them too. But at bottom, we vindicate a way of life. We show by our work that free people can govern themselves. They can solve their own problems. They can make their own decisions. They can deliberate, collaborate, and get the job done. We show self-government is not only more efficient and more effective; it is more fulfilling. In fact, we show it is that struggle, that hard work, the very achievement itself that makes us free. That is what we do here. And we will not always agree—not all of us, not all of the time. But we should not hide our disagreements. We should embrace them. We have nothing to fear from honest differences honestly stated. If you have ideas, let’s hear them. I believe a greater clarity between us can lead to a greater charity among us. And there is every reason to have hope. When the first speaker took the gavel, he looked out at a room of 30 people, representing a nation of 3 million. Today, as I look out at you, we represent a nation of 300 million. So when I hear people say America does not have it—we are done, we are spent—I do not believe it. I believe, with every fiber of my being, we can renew the America Idea. Now, our task is to make us all believe. My friends, you have done me a great honor. The people of this country have done all of us a great honor. Now, let’s prove ourselves worthy of it. Let’s seize the moment. Let’s rise to the occasion. And when we are done, let us say we left the people—all the people—more united, happy, and free. Thank you. My colleagues, I rise today to inform you that I will resign as Speaker of the House effective upon the election of my successor. I will also resign as Representative of Ohio’s Eighth District at the end of this month. I leave with no regrets or burdens. If anything, I leave as I started – just a regular guy humbled by the chance to do a big job. But before I go, let me just express what an honor it is been to serve with all of you. The people’s House is, in my view, the great embodiment of the American idea. Everyone comes from somewhere and is on some mission. I come from a part of the world where we’re used to working. As far back as I can remember, I was working…going back to when I was eight or nine, throwing newspapers, working at my dad’s bar on Saturdays from 5 am – 2 pm for 2 dollars…TOTAL. I never thought about it as coming up the easy way or the hard way. It’s just the Cincinnati way. Our city takes its name from a great Roman general, Cincinnatus – a farmer who answered the call of his nation to lead, then surrendered his power and returned to his plow. For me, it wasn’t a farm – it was a small business. And it wasn’t so much a calling as it was a mission: to strive for a smaller, less costly, and more accountable government in Washington, DC. Well, here are some facts…. For the first time in nearly 20 years, we have made real entitlement reforms, saving trillions over the long term. We have protected 99 percent of Americans from tax increases. We are on track to save taxpayers $2.1 trillion over the next 10 years – the most significant spending reductions in modern history. We have banned earmarks altogether. We have protected this institution, and made it more open to the people. And every day in this capital city, hundreds of kids from the toughest of neighborhoods are finally getting a decent education. I am proud of these things. One thing I came to realize is that this battle over the size and scope of government has been going on for more than 200 years. And the forces of the status quo go to an awful lot of trouble to prevent change. Real change takes time. That’s certainly true for all the things I just mentioned. Yes, freedom makes all things possible. But patience is what makes all things real. So believe in the long, slow struggle. Believe in this country’s ability to meet her challenges, and lead the world. Believe in the decency of people to come together and do what can be done. And remember, you can’t do a big job alone, especially this one. I’m grateful to all the people who work in this institution … you’ve made me proud every day. I’m grateful to my staff … I’ve always told them, you never leave Boehnerland, and that certainly goes for me too. That includes a student at Miami University in Oxford, Ohio who was putting up signs for me during one of my very first campaigns in the early 90s. His name was Paul Ryan. But, as Cincinnatus understood, there’s a difference between being asked to do something and being called to do something. Paul is being called to serve, and I know he will serve that calling with grace and energy. I wish him, and his family, all the best. My colleagues, I’ve described my life as a chase for the American Dream. That chase began at the bottom of a hill just off the main drag in Reading, Ohio. At the top was a small house with a big family … a shining city in its own right. The hill had twists. And it had turns. And even a few tears … nothing wrong with that. But let me tell you, it was all just perfect. Never forget, we are the luckiest people on the face of the Earth. In America, you can do anything if you’re willing to work hard and make the necessary sacrifices. If you falter – and you will – you can just dust yourself off and keep on going. Because hope always springs eternal. And if you just do the right things for the right reasons, good things will happen. I never thought I’d be speaker. But I pledged to you that if I could be a unifying figure, then I would serve—I would go all in. After talking with so many of you, and hearing your words of encouragement, I believe we are ready to move forward as one, united team. And I am ready and eager to be our speaker. “Tonight, I shared with my colleagues what I think it will take to have a unified conference and for the next speaker to be successful. “Basically I made a few requests for what I think is necessary, and I asked to hear back by the end of the week. “First, we need to move from being an opposition party to a proposition party. Because we think the nation is on the wrong path, we have a duty to show the right one. Our next speaker needs to be a visionary one. “Second, we need to update our House rules so that everyone can be a more effective representative. This is, after all, the people’s house. But we need to do it as a team. And it needs to include fixes that ensure we don’t experience constant leadership challenges and crisis. “Third, we, as a conference, should unify now, and not after a divisive speaker election. “The last one is personal. I cannot and will not give up my family time. I may not be able to be on the road as much as previous speakers, but I pledged to make up for it with more time communicating our message. “What I told the members is, if you can agree to these requests, and I can truly be a unifying figure, then I will gladly serve. And, if I am not unifying, that is fine as well. I will be happy to stay where am, at the Ways and Means Committee. “Here is how I see it. . . .
“It is our duty to serve the people the way they deserve to be served. It is our duty to make the tough decisions this country needs to get back on track. “The challenges we face today are too difficult and demanding for us to turn our backs and walk away. “Global terror . . . wars on multiple fronts . . . a government grown unaccountable, unconstitutional, and out-of-touch . . . persistent poverty, a sluggish economy, flat wages, and a sky-rocketing debt. “But we cannot take them on alone. Now, more than ever, we must work together. “All of us are representatives of the people—all the people. We have been entrusted by them to lead. “And yet the people we serve do not feel that we are delivering on the job they hired us to do. We have become the problem. If my colleagues entrust me to be speaker, I want us to become the solution. “One thing I’ve learned from my upbringing in Janesville is that nothing is ever solved by blaming people. We can blame the president. We can blame the media. We can point fingers across the aisle. We can blame each other. We can dismiss our critics and criticism as unfair. “People don’t care about blame. They don’t care about effort. They care about results. Results that are meaningful. Results that are measurable. Results that make a difference in their daily lives. “I want to be clear about this. I still think we are an exceptional country with exceptional people and a republic clearly worth fighting for. It’s not too late to save the American idea, but we are running out of time. “Make no mistake: I believe that the ideas and principles of results-driven, common-sense conservatism are the keys to a better tomorrow—a tomorrow in which all of God’s children will be better off than they are today. “The idea that the role of the federal government is not to facilitate dependency, but to create an environment of opportunity . . . for everyone. “The idea that the government should do less. . . . And do it better. “The idea that those who serve should say what they mean and mean what they say. “The principle that we should determine the course of our own lives . . . instead of ceding that right to those who think they are better than the rest of us. “Yes, we will stand and fight when we must. And this presidency will surely require that. “A commitment to our natural rights. A commitment to common sense . . . to compassion . . . to co-operation—when rooted in genuine conviction and principle—is a commitment to conservatism. “Let me close by saying: I consider whether to do this with reluctance. And I mean that in the most personal of ways. “Like many of you, Janna and I have children who are in the formative, foundational years of their lives. “I genuinely worry about the consequences that my agreeing to serve will have on them. “Will they experience the viciousness and incivility that we all face on a daily basis? “None of us wants to hear that question. “And none of us should ever have to. On John Boehner, I just heard the news as I was coming out of the meeting here, so it took me by surprise. And I took the time prior to this press conference to call John directly and talk to him. John Boehner is a good man. He is a patriot. He cares deeply about the House, an institution in which he served for a long time. He cares about his constituents, and he cares about America. We have obviously had a lot of disagreements, and politically we’re at different ends of the spectrum. But I will tell you, he has always conducted himself with courtesy and civility with me. He has kept his word when he made a commitment. He is somebody who has been gracious. And I think maybe most importantly, he’s somebody who understands that in government, in governance, you don’t get 100 percent of what you want, but you have to work with people who you disagree with — sometimes strongly — in order to do the people’s business. I’m not going to prejudge who the next Speaker will be. That’s something that will have to be worked through in the House. And I will certainly reach out immediately to whoever is the new Speaker to see what his or her ideas are, and how we can make progress in the important issues that America faces. The one thing I will say is that my hope is there’s a recognition on the part of the next Speaker — something I think John understood, even though at times it was challenging to bring his caucus along — that we can have significant differences on issues, but that doesn’t mean you shut down the government. That doesn’t mean you risk the full faith and credit of the United States. You don’t invite potential financial crises. You build roads and pass transportation bills. And you do the basic work of governance that ensures that our military is operating and that our national parks are open and that our kids are learning. And there’s no weakness in that. That’s what government is in our democracy. You don’t get what you want 100 percent of the time. And so sometimes you take half a loaf; sometimes you take a quarter loaf. And that’s certainly something that I’ve learned here in this office. So I’m looking forward to working with the next Speaker. In the meantime, John is not going to leave for another 30 days, so hopefully he feels like getting as much stuff done as he possibly can. And I’ll certainly be looking forward to working with him on that. “Country and institution before self. “These are the first things that come to mind when I think of John Boehner. “He is an ally. He is a friend. And he took over as Republican Leader at a difficult time for his party. “When some said Republicans could never recover, he never gave up. “When some gave in to defeatism, he kept up the fight. “Because he did, Speaker Boehner was able to transform a broken and dispirited Republican minority into the largest Republican majority since the 1920s. “That’s a legacy few can match. “He flew across the country more times than he can count to support members of his conference, and to recruit new members to the cause. As leader of a new majority, he turned the tide in Congress and brought conservative reform in many areas. He worked tirelessly to provide hope to those who dreamed of a better life and to middle-class families who struggled under the weight of this Administration. “John knows what it’s like to struggle and to dream of something better. He’s lived it. “That a young man from Reading, Ohio wielding a bar towel could one day wield the gavel of the U.S. House of Representatives — it reminds us of the continuing promise of this country. “I know yesterday was an incredibly important event for the Speaker. It was his aim to bring the same spirit of grace that has always guided his life, to others. You only had to look out onto the Capitol lawn to see what he achieved. And that he chose this moment to make this decision, means he will be leaving us in a similar spirit. “My mission every day is to fight for a smaller, less costly and more accountable government. Over the last five years, our majority has advanced conservative reforms that will help our children and their children. We’re now on track to cut government spending by $2.1 trillion over the next 10 years. We’ve made the first real entitlement reform in nearly two decades. And we’ve protected 99 percent of Americans from permanent tax increases. “We’ve done all this with a Democrat in the White House. So I’m proud of what we’ve accomplished. “But more than anything, my first job as Speaker is to protect the institution. A lot of you now know that my plan was to step down at the end of last year. I decided in November of 2010 when I was elected Speaker that serving two terms would have been plenty. But in June of last year, when it became clear that the majority leader lost his election, I frankly didn’t believe it was right to leave at the end of last year. So my goal was to leave at the end of this year. So I planned, actually on my birthday, November 17th, to announce that I was leaving at the end of the year. “But it’s become clear to me that this prolonged leadership turmoil would do irreparable harm to the institution. So this morning, I informed my colleagues that I would resign from the Speakership and resign from Congress at the end of October. “Now, as you’ve often heard me say, this isn’t about me. It’s about the people, it’s about the institution. Just yesterday, we witnessed the awesome sight of Pope Francis addressing the greatest legislative body in the world. And I hope that we will all heed his call to live by the Golden Rule. But last night, I had started to think about all this. Then this morning, I woke up, said my prayers, as I always do. And I decided, you know, today’s the day I’m going to do this, as simple as that. “That’s the code I’ve always lived by: if you do the right things for the right reasons, the right things will happen. And I know good things lie ahead for this House and this country. I’m proud of what we’ve accomplished, and I’m especially proud of my team. This is my 25th year here, and I’ve succeeded in putting a staff together and a team together, many of which have been with me for a long time. Without a great staff, you can’t be a great member, and you certainly can’t be a great Speaker. “I want to thank my family for putting up with this all these years. My poor girls, who are now 37 and 35. Their first campaign photo was in July of 1981, and so, they’ve had to endure all this. It’s one thing for me to have to endure it. I’ve got thick skin. But, you know, the girls and my wife, they had to put up with a lot over the years. “Let me express my gratitude to my constituents, who’ve sent me here 13 times over the last 25 years. You can’t get here without getting votes. But — I say this often. People ask me, what’s the greatest thing about being speaker, or about being an elected official? And I said, well, it’s the people you get to meet. You know, I have met tens of thousands of people in my own congressional district that I would have not met, other than the fact I decided to ran for Congress. Over the years, as I traveled on behalf of my colleagues and the party, I’ve met tens of thousands of additional people all over the country. And you meet rich people, you meet poor people, you meet interesting people. Probably a few boring ones along the way. “But I can tell you that 99.9 percent of the people I meet on the road, anywhere, could not be — could not be nicer than they’ve been. It’s been — really, it’s been wonderful. “My mission every day is to fight for a smaller, less costly, and more accountable government. Over the last five years, our majority has advanced conservative reforms that will help our children and their children. I am proud of what we have accomplished. “The first job of any Speaker is to protect this institution that we all love. It was my plan to only serve as Speaker until the end of last year, but I stayed on to provide continuity to the Republican Conference and the House. It is my view, however, that prolonged leadership turmoil would do irreparable damage to the institution. To that end, I will resign the Speakership and my seat in Congress on October 30. THE PRESIDENT: Well, I want to thank the leadership of both the House and the Senate for being here for this lunch, post-election. As I said the other night, obviously Republicans had a good night, and I’ve congratulated both Mitch McConnell as well as Speaker Boehner for running very strong campaigns. As I also said the day after the election, what we’ve seen now for a number of cycles is that the American people just want to see work done here in Washington. I think they’re frustrated by the gridlock. They’d like to see more cooperation. And I think all of us have the responsibility, me in particular, to try to make that happen. And so this gives us a good opportunity to explore where we can make progress on behalf of the people who sent us here. The good news is, today we saw another good set of jobs numbers. We’ve now had 56 consecutive months of job growth; more than 10.6 million jobs have been created. And the unemployment rate now is down to 5.8 percent. So business is out there investing, hiring. The economic indicators are going in the right direction. As I travel to Asia for the G20 Summit, I’m going to be able to say that we’ve actually created more jobs here in the United States than every other advanced country combined. And they notice that we’re doing something right here. But what we also know is that the American people are still anxious about their futures, and that means that what we can do together to ensure that young people can afford college; what we can do together to rebuild our infrastructure so we’re competitive going forward; what we can do together to make sure that we’ve got a tax system that is fair and simple, and unleashes the dynamism of the economy; what we can do together to make sure that we keep the progress that we’ve been making in reducing the deficit while still making the investments we need to grow. Those are all going to be areas where I’m very interested in hearing and sharing ideas. And then the one thing that I’ve committed to both Speaker Boehner and Leader McConnell is that I am not going to judge ideas based on whether they’re Democratic or Republican; I’m going to be judging them based whether or not they work. And I’m confident that they want to produce results, as well, on behalf of the American people. So I appreciate their graciousness in coming here. And I’m very much looking forward to giving them some updates on progress we’ve been making on issues like Ebola and ISIL. There’s going to be some specific work that has to get done during the next several weeks before the new Congress commences. And my hope is, is that even as we enter into a new Congress, the previous Congress has the opportunity still to make progress on a whole bunch of fronts, and I’m confident we can get that done. Q Have you made a decision on an Attorney General, Mr. President? THE PRESIDENT: You’re going to be the first to find out, Major, along with everybody else. WASHINGTON, DC — In this week’s address, the President thanked Congress for its strong bipartisan support for efforts to train and equip Syrian opposition forces to fight ISIL. This plan is part of the President’s comprehensive counter-terrorism strategy to degrade and destroy the terrorist group, and does not commit our troops to fighting another ground war. America, working with a broad coalition of nations, will continue to train, equip, advise, and assist our partners in the region in the battle against ISIL. 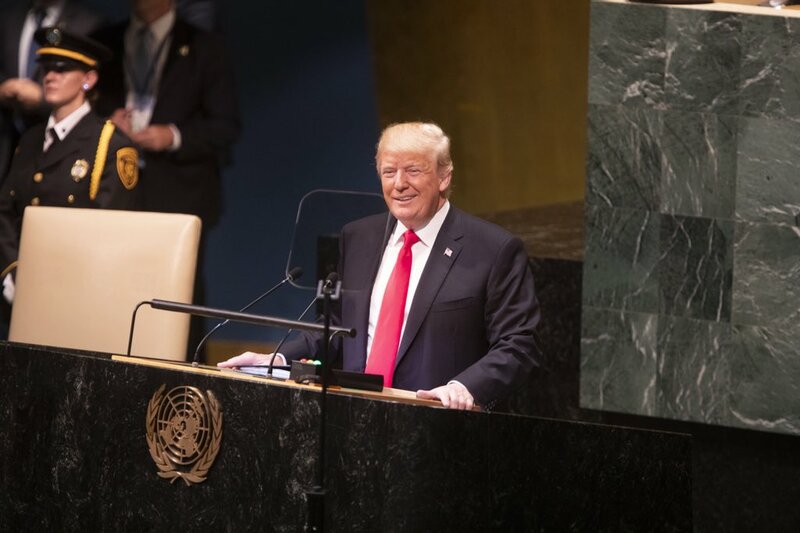 In the coming week, the President will speak at the United Nations General Assembly and continue to lead the world against terror, a fight in which all countries have a stake. Over the past week, the United States has continued to lead our friends and allies in the strategy to degrade and ultimately destroy the terrorist group known as ISIL. As I’ve said before, our intelligence community has not yet detected specific plots from these terrorists against America. Right now, they pose a threat to the people of Iraq, Syria, and the broader Middle East. But its leaders have threatened America and our allies. And if left unchecked, they could pose a growing threat to the United States. So, last month, I gave the order for our military to begin taking targeted action against ISIL. Since then, American pilots have flown more than 170 airstrikes against these terrorists in Iraq. And France has now joined us in these airstrikes. Going forward, we won’t hesitate to take action against these terrorists in Iraq or in Syria. But this is not America’s fight alone. I won’t commit our troops to fighting another ground war in Iraq, or in Syria. It’s more effective to use our capabilities to help partners on the ground secure their own country’s futures. We will use our air power. We will train and equip our partners. We will advise and we will assist. And we’ll lead a broad coalition of nations who have a stake in this fight. This isn’t America vs. ISIL. This is the people of that region vs. ISIL. It’s the world vs ISIL. We’ve been working to secure bipartisan support for this strategy here at home, because I believe that we are strongest as a nation when the President and Congress work together. We’ve been consulting closely with Congress. And last week, Secretary of State Kerry, Secretary of Defense Hagel, and military leaders worked to gain their support for our strategy. A majority of Democrats and a majority of Republicans in both the House and the Senate have now approved a first, key part of our strategy by wide margins. They’ve given our troops the authority they need to train Syrian opposition fighters so that they can fight ISIL in Syria. Those votes sent a powerful signal to the world: Americans are united in confronting this danger. And I hope Congress continues to make sure our troops get what they need to get the job done. Meanwhile, because we’re leading the right way, more nations are joining our coalition. Over 40 countries have offered to help the broad campaign against ISIL so far – from training and equipment, to humanitarian relief, to flying combat missions. And this week, at the United Nations, I’ll continue to rally the world against this threat. This is an effort that America has the unique ability to lead. When the world is threatened; when the world needs help; it calls on America. And we call on our troops. Whether it’s to degrade and ultimately destroy a group of terrorists, or to contain and combat a threat like the Ebola epidemic in Africa; we ask a lot of our troops. But while our politics may be divided at times, the American people stand united around supporting our troops and their families. This is a moment of American leadership. Thanks to them, it is a moment we will meet. Thank you.